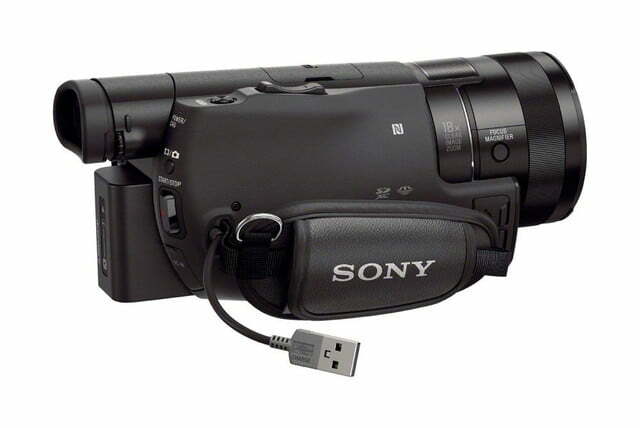 Check out our full Sony FDR-AX100 review. 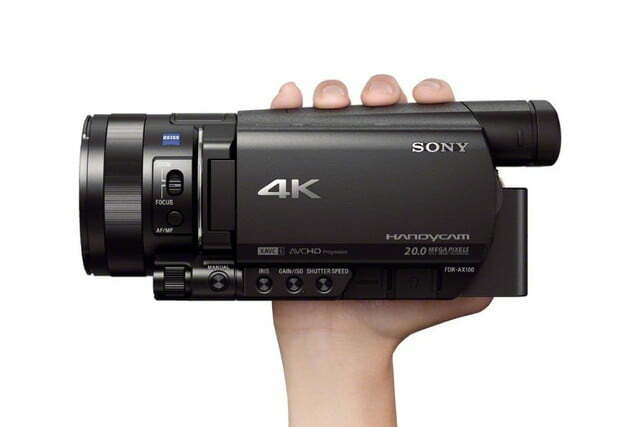 When Sony announced the FDR-AX1 Handycam last September, it was a 4K camcorder that was beyond the means of most consumers, considering all the pro bells and whistles, hefty form-factor, and high price tag – despite it being labelled the world’s first consumer 4K camcorder, it is more professional in nature. 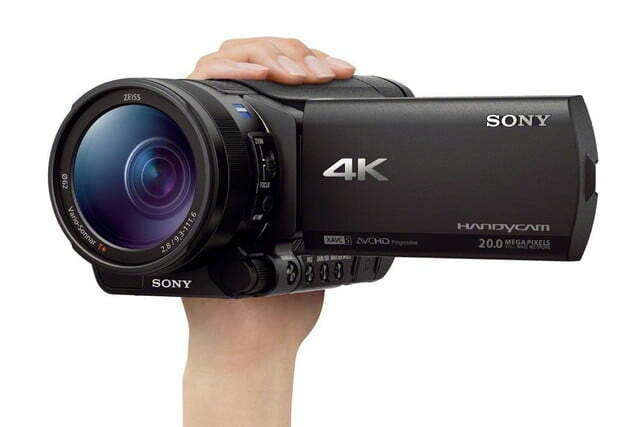 Like other manufacturers that make 4K TVs, Sony needs to push 4K content to convince people to buy them. 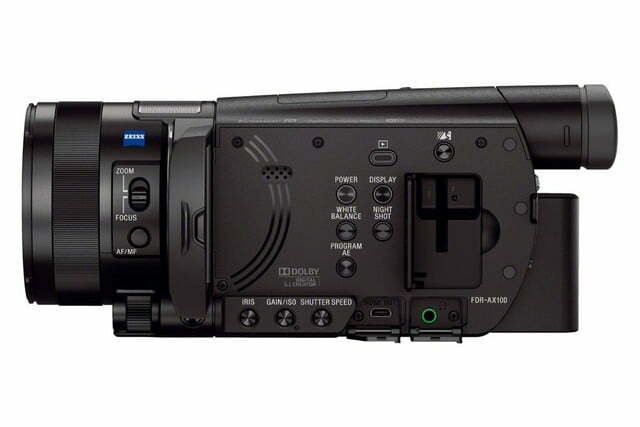 So the new FDR-AX100, which is far more compact than the AX1 – not to mention half the price ($1,999) – should appeal to more early-adopting consumers – video enthusiasts, indie filmmakers on a budget, etc. 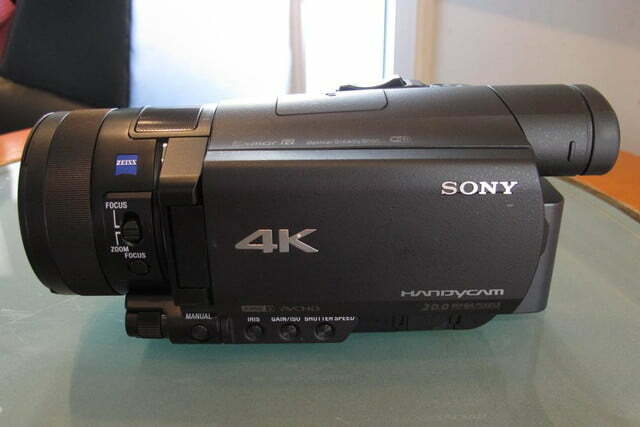 – who want to make their own 4K home movies. 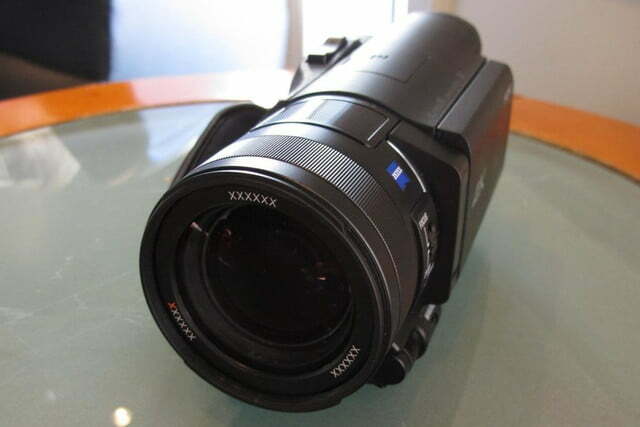 The AX100 uses a 1-inch 14.2-megapixel Exmor R CMOS sensor – larger than the 1/2.3-inch sensor in the AX1 and those normally used in camcorders. 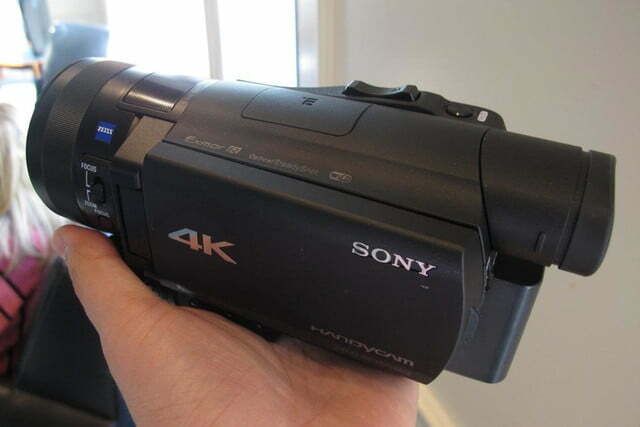 The camcorder won’t capture cinema-quality 4K, but Sony says the quality is designed for 4K TVs and the sensor allows “beautiful bokeh background defocusing effects, even in low light conditions.” Compared to the AX1, which was very difficult to handle when we last played with an engineering sample (from a consumer POV) , the AX100 feels more like a regular consumer camcorder in terms of look and feel (although it’s still far bigger and heavier than some of the small HD camcorders you can buy today); Sony says the AX100 is 74-percent smaller and 66-percent lighter than the AX1. 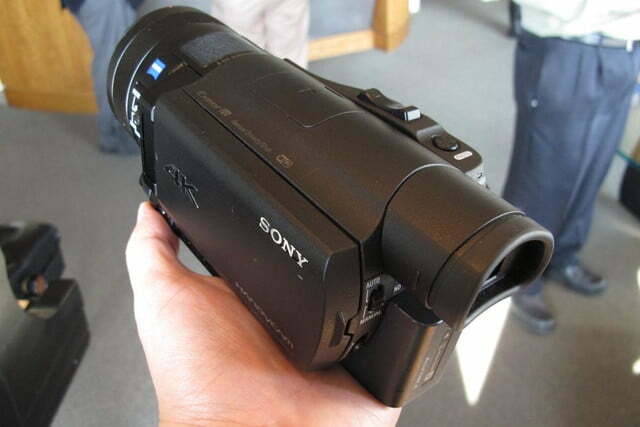 Sony has been emphasizing the importance of its Bionz image processor in handling a lot of the legwork for area-specific noise reduction and detail reproduction (the AX1 uses a processor from its pro-series camcorders), and is what allows the AX100 to capture and play back 24p and 30p videos smoothly. 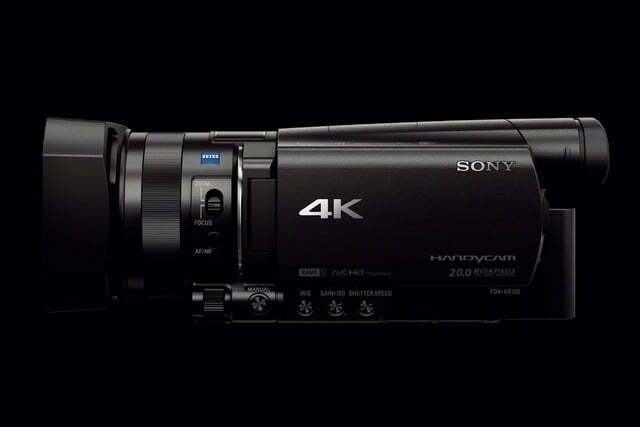 “This new image processing technology achieves an even better balance of exceptional detail and advanced noise control, while its ability to record at 120p enables slow-motion playback at one-fifth the speed in a 24p environment in post-processing. 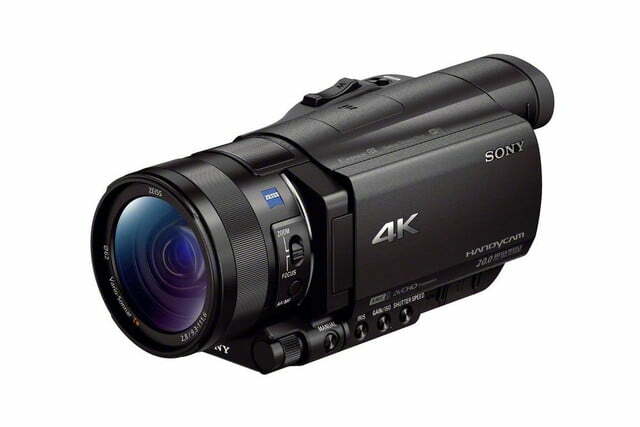 Together with the camcorder’s advanced Cinematone Gamma/Color function, a sumptuously warm, rich look to footage can be achieved,” Sony says. 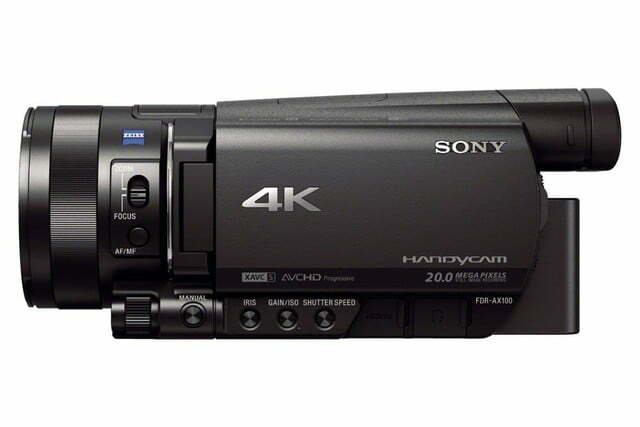 The AX100 records 4K in the XAVC S format, a “consumer friendly” version of the XAVC codec used in the pro cams. 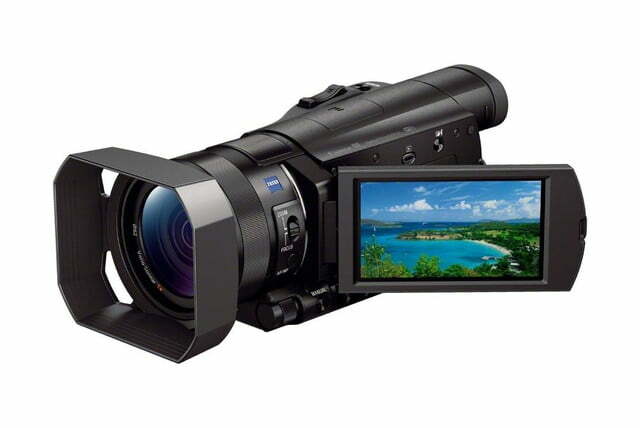 XAVC S compresses the video and audio using MPEG-4 AVC/H.264 and linear PCM. 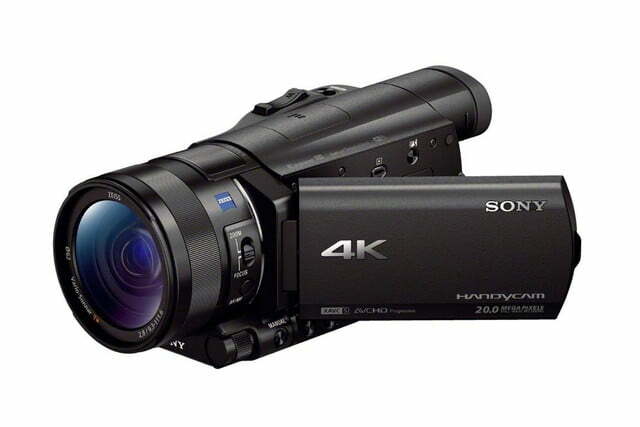 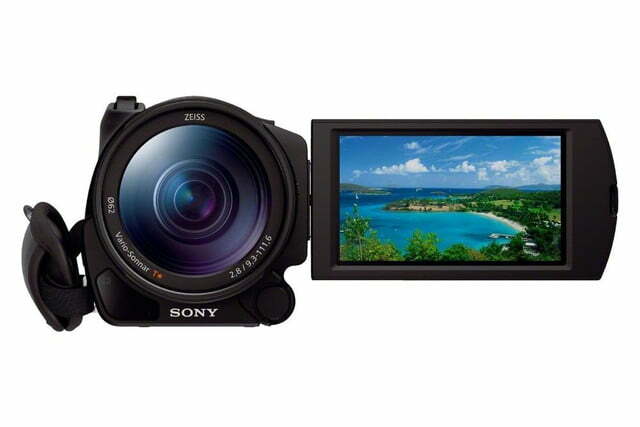 For non-4K, the AX100 supports AVCHD and MP4 HD for Web-friendly uploads. 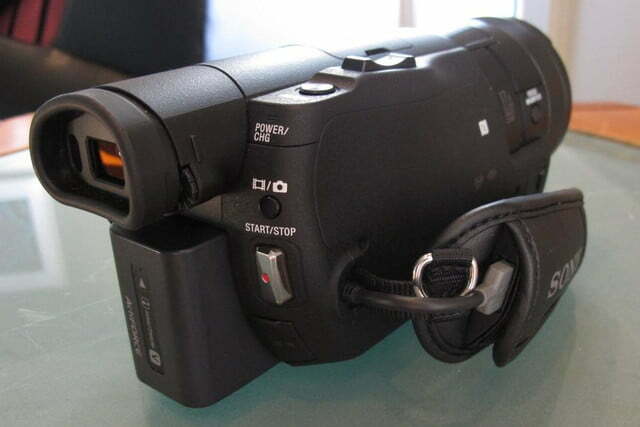 A feature called My Voice Cancelling helps eliminate noise from behind the mic. 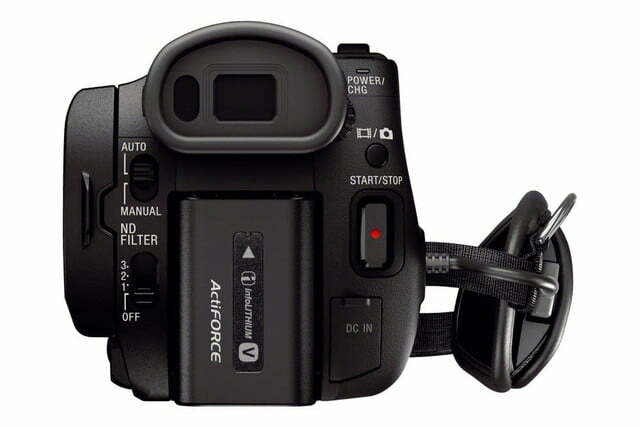 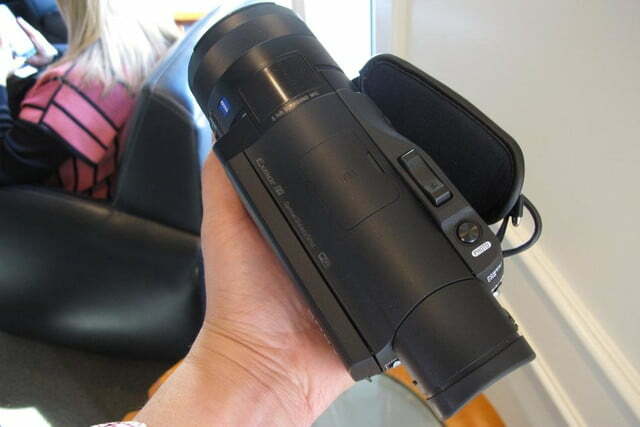 More advanced users have the option adjusting shutter speed and aperture, zooming or focusing using a lens ring, and adjust gain and brightness via a side-mounted dial. 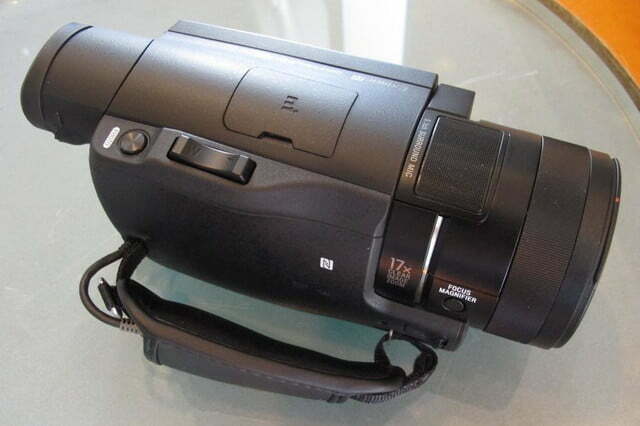 We’ve been impressed with the development of electronic viewfinders as of late, especially the ones in Sony’s new Alpha A7/A7R cameras. 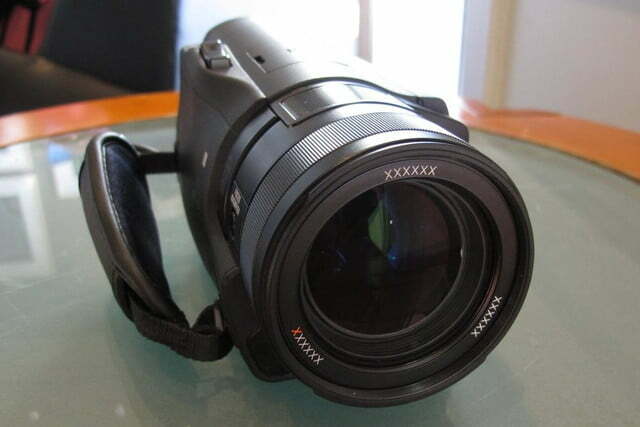 The AX100 has a 0.39-inch OLED EVF, and when we tried it out a few weeks back during a special preview, we were just as pleased. 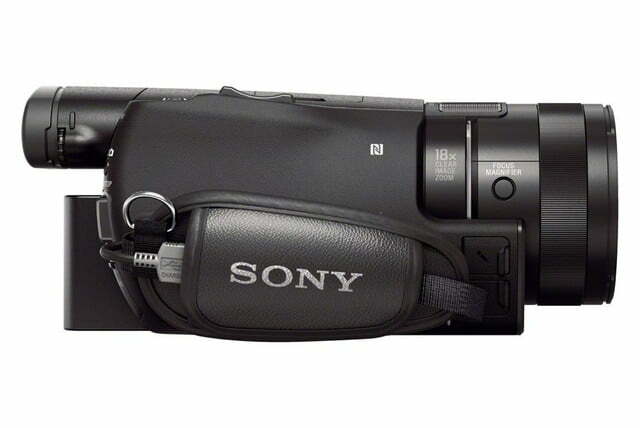 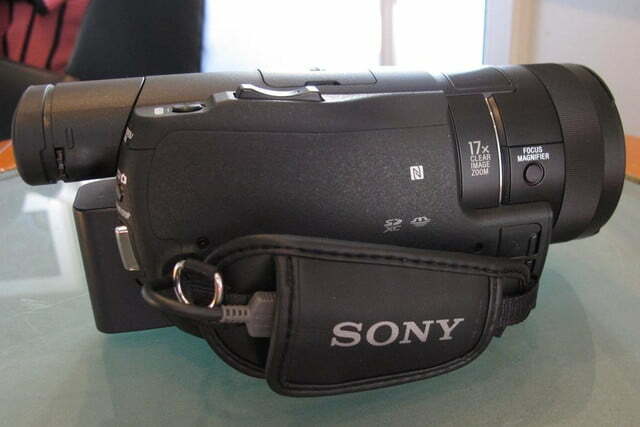 Sony’s done some excellent work on the EVF front, and the same can be said here. 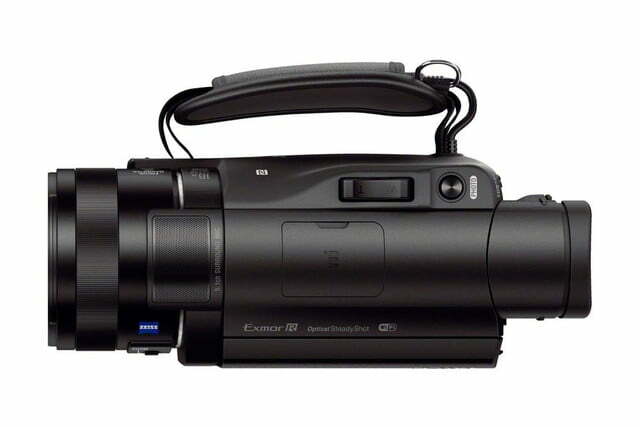 Complementing the EVF is a 3.5-inch LCD rated at 921K. 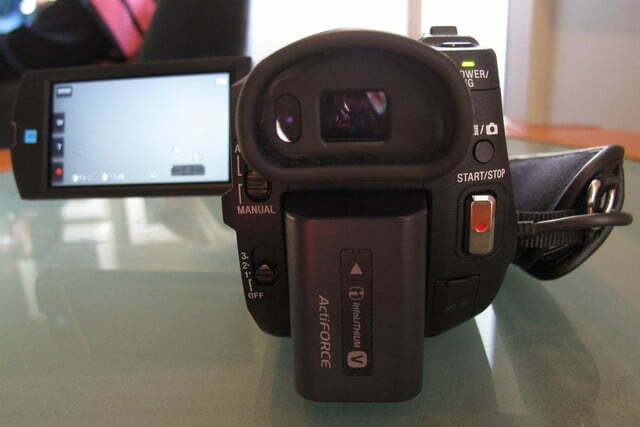 Since this is a consumer-oriented product, there’s Wi-Fi built in. 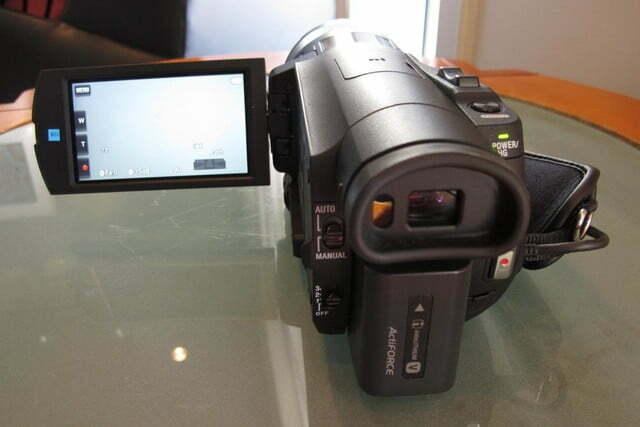 With the PlayMemories Mobile app for iOS and Android, you can use your smartphone to control the camcorder remotely. 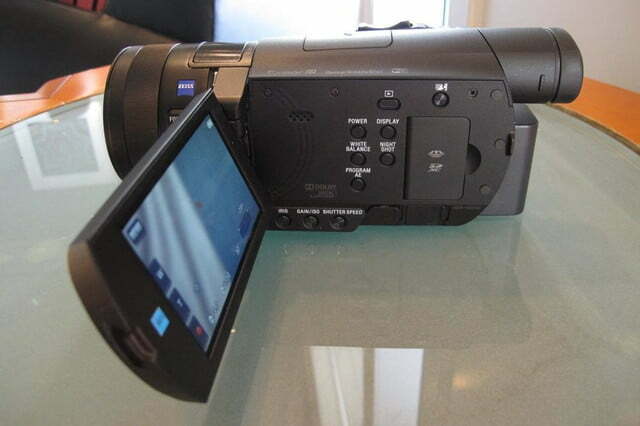 Users of NFC-enabled Android devices to easily pair it with the camcorder. 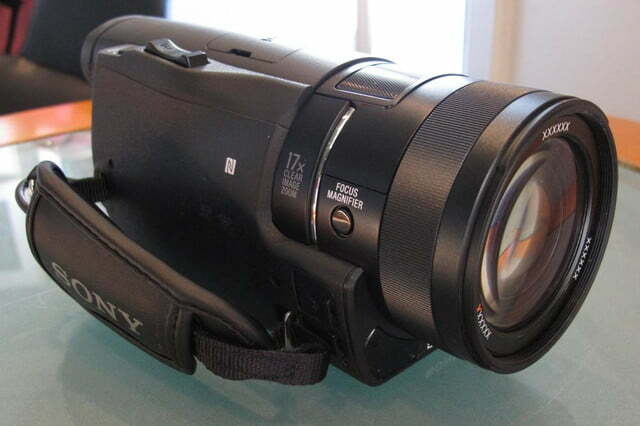 Wi-Fi can also be used to stream content from the camcorder to a networked TV. 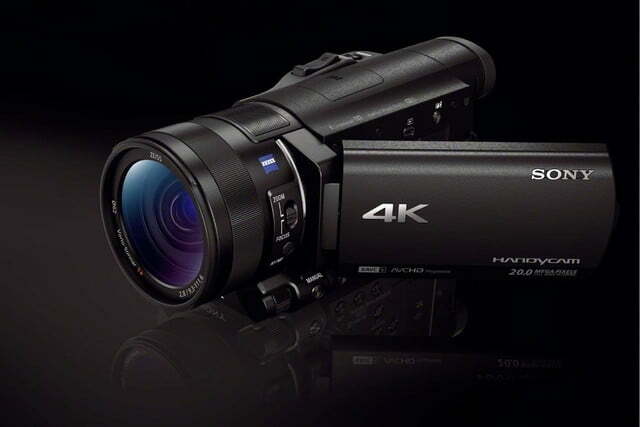 If you have a 4K TV (and why wouldn’t you if you’re planning to buy this 4K camcorder), content can be played back via regular HDMI; the camcorder can also down-convert 4K to 2K for playback on a non-4K display. 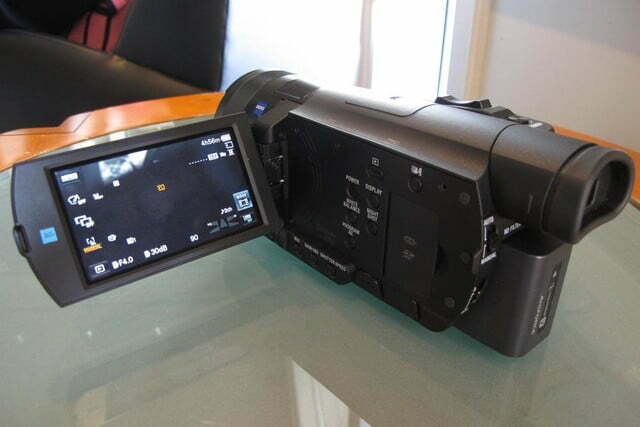 Sure enough, the content looks incredibly brilliant and colors are vibrant, although we weren’t able to shoot any footage with the preproduction unit. 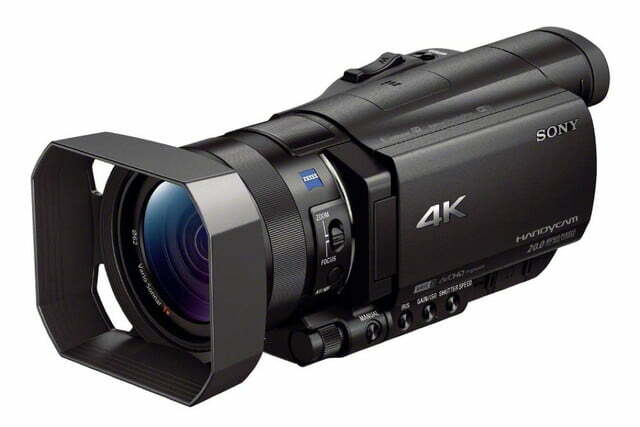 The AX100 certainly brings pro-like 4K-creation to more people, but $2,000 is still a bit high for most consumers, making this more of a prosumer product. 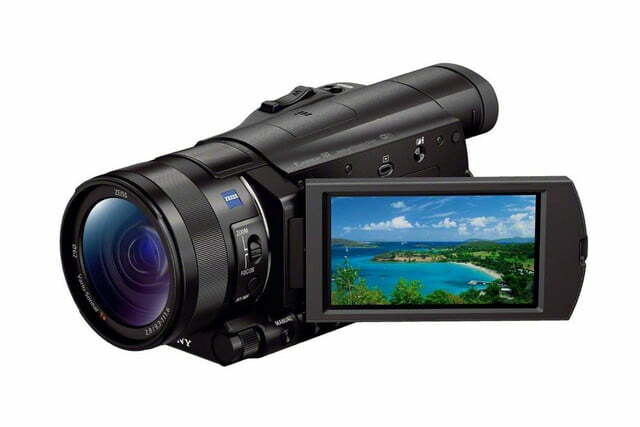 If you’re shooting short clips of stuff for fun, the AX100 might be a bit of overkill. 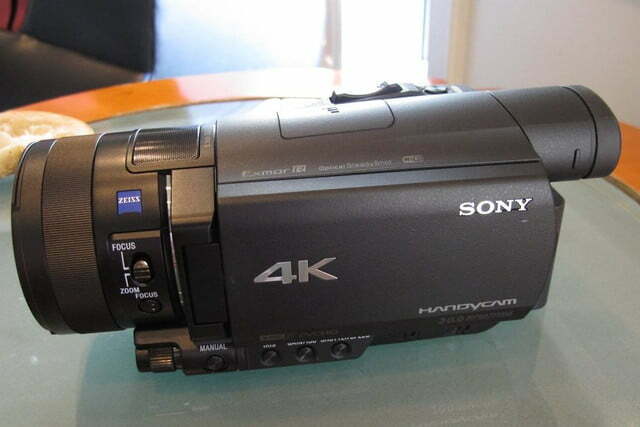 But if you want to make home movies that will pop on the new 4K TV you just bought, you have he option. 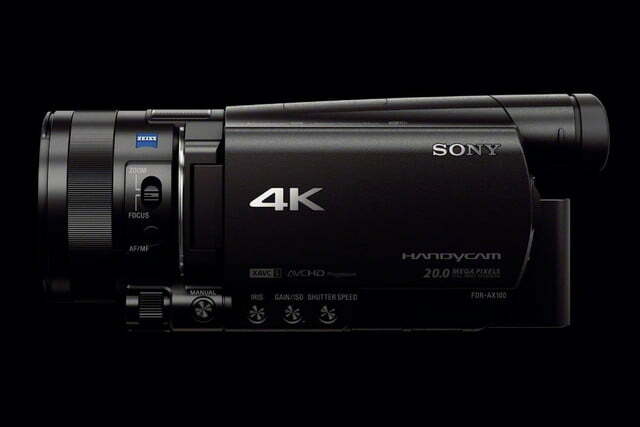 Sony clearly wants to dominate the 4K space, so we’re interested to see if the likes of Canon, Sony, JVC, etc. 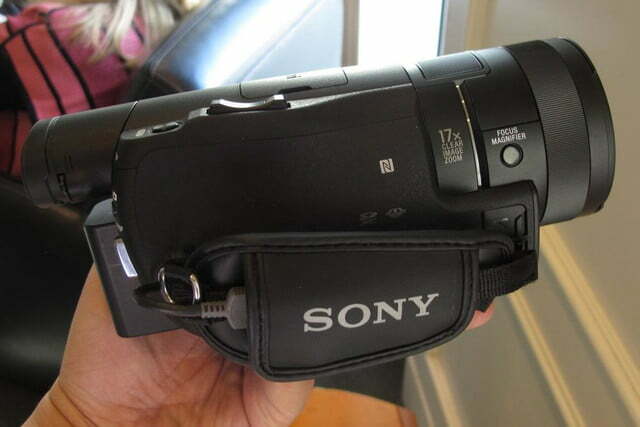 will follow suit. 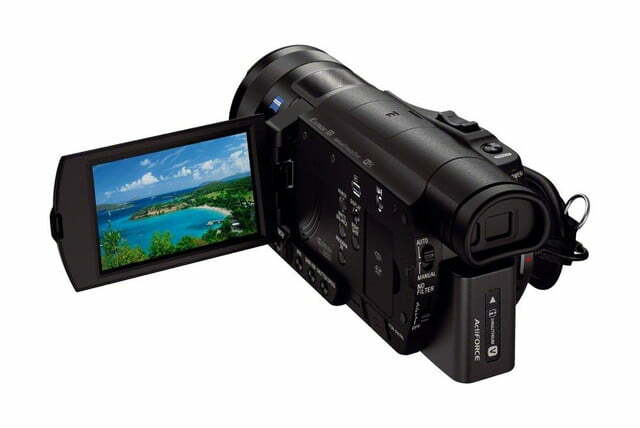 Expect the Ax100 to hit shelves in March.